For those of you who invest online, this is great news. For those of you who do not, maybe you should start! 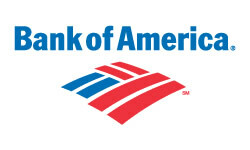 Bank of America, the 2nd largest US Bank, announced last week that it will allow investors to make up to 30 free online equity trades per month if they deposit at least $25,000. Will paying for online trades be a thing of the past? Due to industry consolidation the last few years, commission charges at Ameritrade, Scottrade, Charles Schwab & E*Trade have been gradually coming down. But Bank of America's curveball could run the smaller pureplay trading companies out of business. After the BofA news, competing online discounters fell more than 10%. But this could be just the beginning of an industry-wide slump. Bank of America is so gigantic in size ($250 Billion) and diversified across many channels of business that it can afford not to charge these commissions. But so far, all competitors have indicated they will not be matching the $0 trading fees. Will this last long? Probably not. The larger competitors such as Schwab & E*Trade will have to follow suit in order to keep existing customers. The smaller pureplay trading companies, on the otherhand, may struggle to survive. For them, the trading fee is their primary source of revenue. Since they cannot afford to match this move, I believe the industry consolidation will continue. Ameritrade & Scottrade will most likely be gobbled up by these more diversified banking companies. I know I will be looking to switch! Every year I probably pay around at least $500 in commission charges on my Ameritrade account. This of course eats away at one's annual return. Here's where you sign up. unfortunately its not yet available in CA. but the commissions are still very cheap compared to ameritrade.